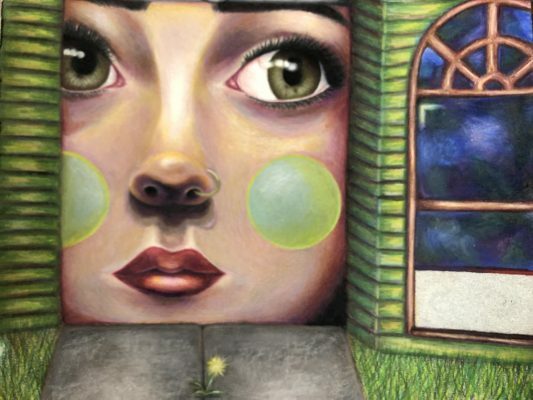 The 2019 senior art shows feature works by seven studio art majors and includes painting, drawing, photography, and ceramic work. An opening reception for the displays will be held from 2–4 p.m. on April 14 in the Peter Paul Luce Gallery in McWethy Hall and Hall-Perrine on the second floor of the Thomas Commons. The shows will be on view from Sunday, April 14 through Sunday, May 5. The gallery is open Monday–Friday 9 a.m.–4 pm, and Sunday 2–4 p.m.
Each artist’s show presents a culmination of the year’s work, with a large variety of media and subjects displayed throughout the pieces. Zara Anderson ’19 drew inspiration for her show from the various photographers she has studied over the years–Vivian Maier, Eugène Atget, Cartier-Bresson, and many more. During her year studying abroad in Paris, she shot rolls of black and white 35 mm film from which she has created her show. 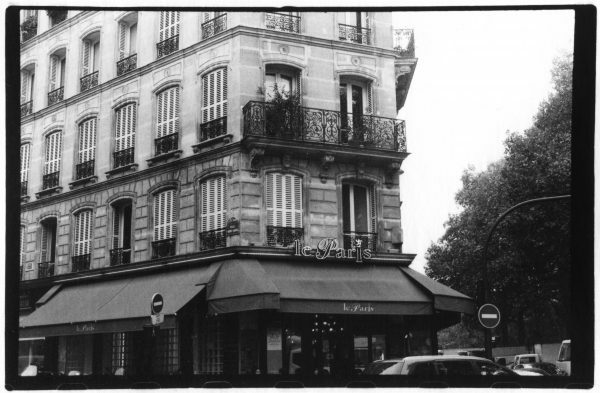 Her show “Ça Va” depicts modern-day Paris street scenes in a not-so-modern way; each piece was printed from film in the darkroom. 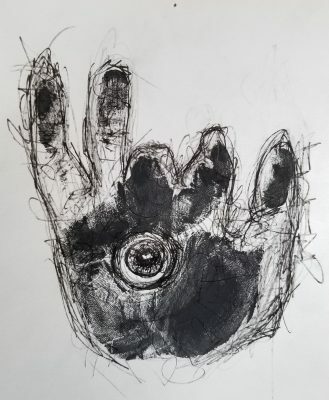 Elizabeth (Lizz) Chapman ’19 has created her show “Rampant,” which is a collection of antagonistic imagery depicting various emotional states experienced with mental illness. “Rampant” provides a physical space portraying the process of healing and hurting. She invites viewers to enjoy the distinctive atmosphere and exciting visual experience of her spiritual spaces and artistic expression. 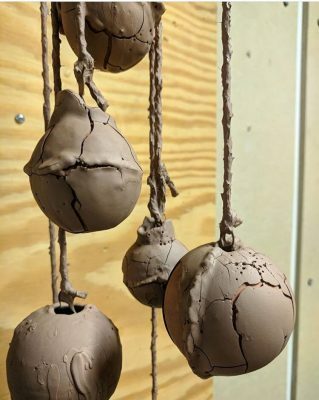 Sophia Plant ’19 has spent the year slip casting over 500 terra-cotta spheres. 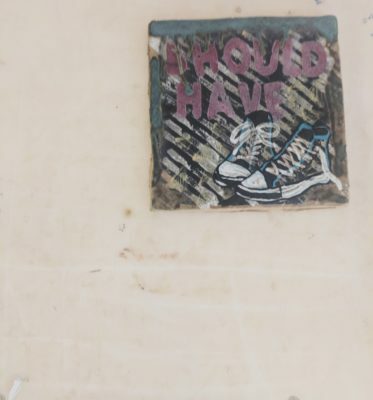 Her show “Diving in, Swimming Down” explores the similarities between ceramic materiality and enduring and recovering from a deep depressive episode. Her installation is designed to give viewers a chance to stand in her place. 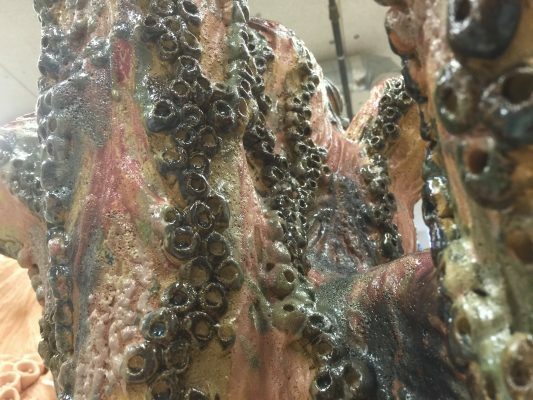 Max Haugh-Ewald ’19 drew inspiration for his show from coral coils, crustacean crevices, flowing fungi, and flourishing fish. His show “Vital Pool” is a series of sculptural works centered around abstracted and alien, sea or fungal life. 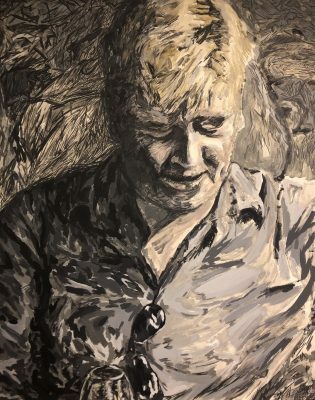 Håkon Fougner ’19 is presenting his exhibition “Watching Paint Dry,” a series of oil and acrylic paintings on canvas. His paintings depict desaturated larger-than-life representations of the human form. He explores painting as mark-making, using different textures and formal qualities of paint on canvas, examining the relationship and borderlands between abstraction and illusionistic painting. The displays are free and open to the public. All Cornell senior studio art majors receive their own studio spaces and prepare exhibitions consisting of entirely fresh bodies of work in the mediums of their choice. They propose their exhibitions before the department faculty, mount the exhibitions, and advertise and defend their shows in front of the art and art history professors.